After the independence of India, there was an urge for a constitution to govern the nation which protected all the rights of the citizens of India and mentioned all the duties that the Indian citizens had towards their nation. 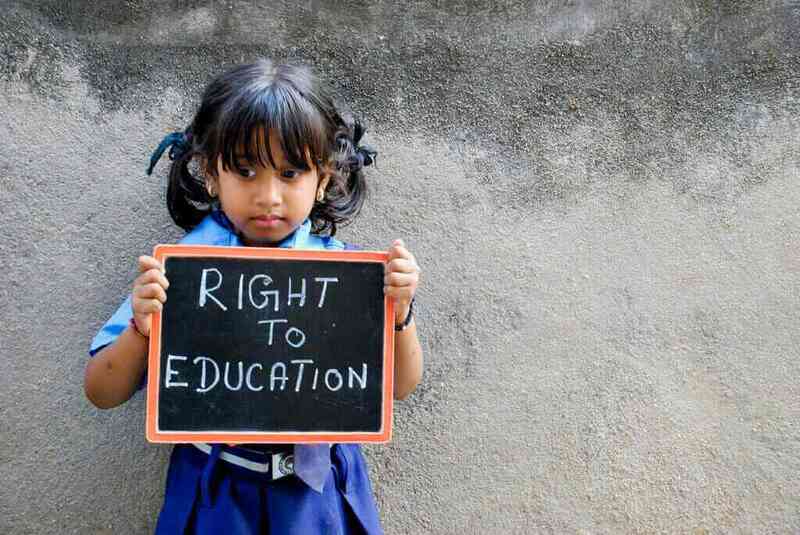 In this article, we are talking about the right to education which is now a fundamental right. Article 45 of the constitution of India stated that the state shall endeavour to provide, within a period of ten years from the commencement of this Constitution, for free and compulsory education for all children until they complete the age of fourteen years. Then the 86th Amendment in the constitution of India made the right to free education for children between 6 to 14 years a fundamental right. In the year 2009, Right of Children to Free and Compulsory Education Act came into effect. The RTE or the Right to Education is a detailed and comprehensive piece of good governance as it includes provisions for schools, teachers, the curriculum that is to be taught, evaluation, and most importantly the highlight on the School Management Committee. It marks the importance of good faculty, the procedure, the code of conduct of the school, and how parents are involved in the management of the school under the School Management Committee. The committee has to spread information about the Right to Education Act in the nearby areas so that most of the Indian citizens can be benefited from this act. Provided also that fifty percent of Members of such Committee shall be women. The Very basic function of SMC is to monitor the working of the school, prepare and recommend the school plan and monitor the utilization of the grants received from the government. As per the RTE Act, the de-jure system for SMC is that it is constituted of a General body and an Executive Body. The General body consists of all the parents, and teachers. The Executive body is made up of 15 members elected from the General body, 11 of who are parents/guardians, Head Master of the school, 1 Gram Panchayat/Nagar Palika/ Ward member and 1 student. Of these 15 members, 50% should be women. In addition, the executive committee should also have representation by SC, ST, OBC and minority communities. The tenure of the executive committee of the SMC is 2 years and should meet every month while the general body should meet once in 3 months. The head of the executive committee is the President and Vice-President elected from among the members and the Head Master of the concerned school is the Honorary Secretary. According to this explanation what SMC does is it decentralizes the power from principal to teachers and from teachers to the parents. But apart from all these good factors that School Management Committee holds, there are always two sides of a coin and a few more factors that majorly affect the functioning of the committee. The power to elect the members lies in the hands of the principal of the school. Due to this uneven decentralization, the principal entitles less educated parents to be a part of the Management committee so that the school authorities can exercise their power as comfortably as they want to. This leaves a negative effect on the children and the on the management committee. Due to this, the committee is unable to function properly as the principal holds the leash to the majority of the members of the committee. Inadequate authority: while the procurement guideline defines the SMC as the authority responsible for procurement of civil works, in practice the final sanctioning rests with the office of the District Programme Officer, which takes decisions based on a number of factors. Delays in processing of sanctions: Schools that filed applications reported considerable delays in receiving approvals. Implementing responsibility rests with District: SMCs are required to be involved in the construction of civil works according to the procurement plan; their actual involvement appears to be fairly limited. There is no clarity on who will take the lead in financing the Act. Ideally, the central government ought to be shouldering this duty in the light of the poor fiscal situation in most states. Acknowledging this reality, the Act notes that the states may seek a predetermined percentage of expenditure as grants-in-aid from the central government, based on the recommendations of the finance committee on assessment of additional resource requirements for any state. Be that as it may, the Act reveals an obvious contradiction when, on the one hand, it suggests that both the union and state governments have concurrent responsibility to finance the Act with the center preparing estimates of capital and recurring expenditure under the Act, while on the other, it unequivocally holds the state governments responsible for providing the funds for the implementation of the Act. The bureaucracy has infested the system and has become a roadblock in the pathway to achieving long-term sustainable education goals. The current needs of our education system can be met when the legislature takes stringent actions and maintains a system of checks and balances to ensure the highest standards of the SMCs. What can be done further to enhance the standard is to establish a reward based system for each SMC and contest various tournaments in schools and colleges to promote Meritocracy. In a nation where the primary teachers are paid in negligible terms, the government has to realise that the need of the hour is to strengthen the building block of our society and the moulders of the future to achieve a Utopian structure in SMCs. Being a Lawyer, I am highly experienced in writing long essays that critically analyze scenarios in the light of various aspects. I believe that being a part of the community means to spread ideas about various topics and revolting issues to provide a better frame to the ones who are unable to see the bigger picture.